Police Eyewear is doing everything right this Fall. I am in love with their new collection! I for one love expressing myself and my personal style with sunglasses. They add a perfect finishing touch to every look. Police Eyewear has been around for years, my grandfather used to wear them, and now they are making quite a comeback without loosing their retro flare. I love the ‘FURY 2’ in pink to complete any look from denim, to a neutral tan color palette this fall. They give off the perfect amount of a retro vibe while still being chic and on-trend wit their colored flat lenses. 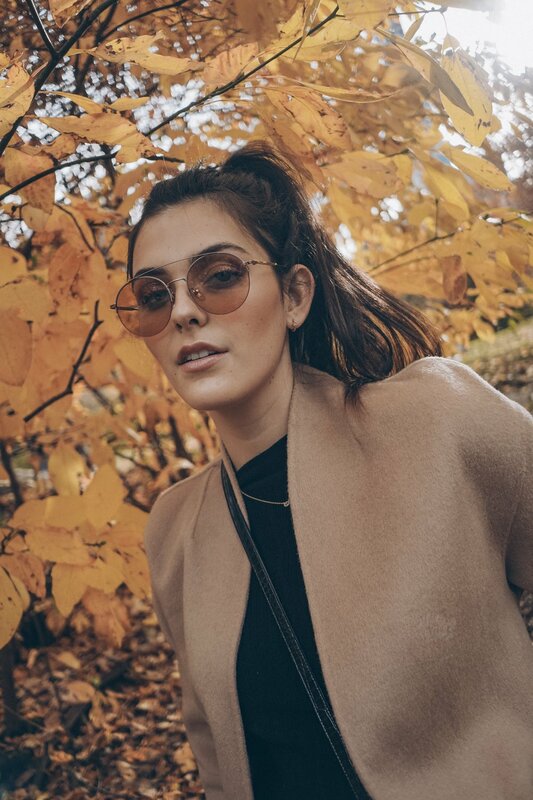 I wore them last week during a sunny day in Central Park and they are so light and comfortable I could not even feel them on my face which I love. I personally get a headache when sunglasses are too heavy or too tight. Another favorite pair of mine are the ‘SPARKLE 6’ because they are a bit oversized on my face while still being playful and fun with their glitter details. I paired these with a plaid coat and grey sweater to add a little sparkle to my classic everyday look. 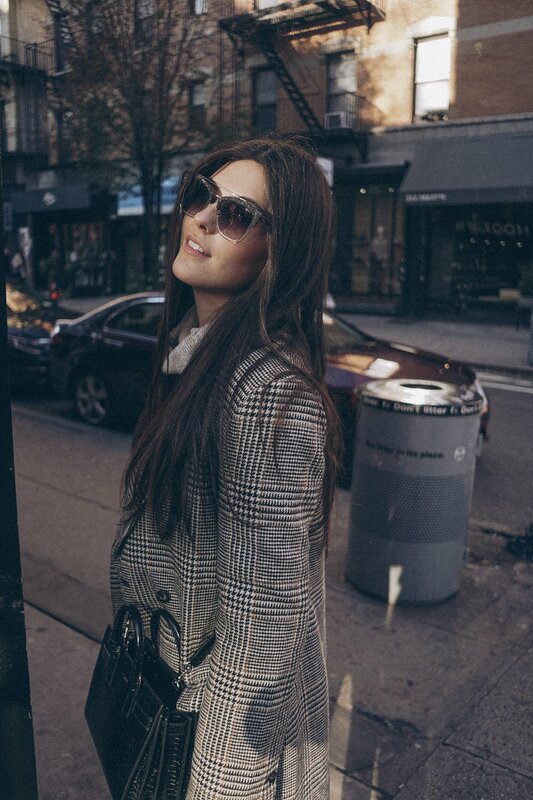 They are also light weight, yet are very structured which I think is important when choosing a pair of sunglasses to buy because it makes you look sophisticated and chic with its structured lines. Thank you to Police Eyewear for partnering with me on this post. As always, all opinions expressed above and genuine and my own.